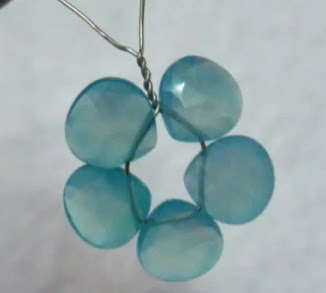 Tear drop shape beads are best to use as earrings. 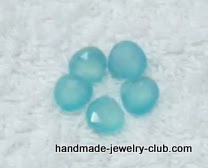 For big tear drop beads they are best used as pendants and charms. Yes! You can use several piece of tear drop beads and construct your own flower shape pendant that you can also use as charms for your bracelets. Here is a short tutorial how to make it. 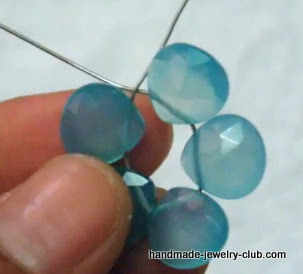 Gather 5 tear drop beads and thread into a wire. Twist the wire up to 2cm. 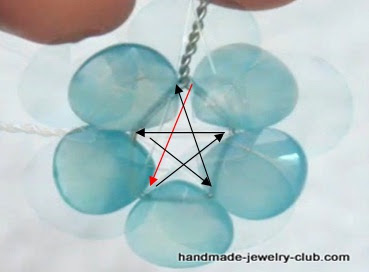 Using a nylon string, create a star shape at the center of the tear drops by wrapping the wire onto the wire in between the tear drops. Thread in your pearl and seed bead, placing them at the center of the tear drops. 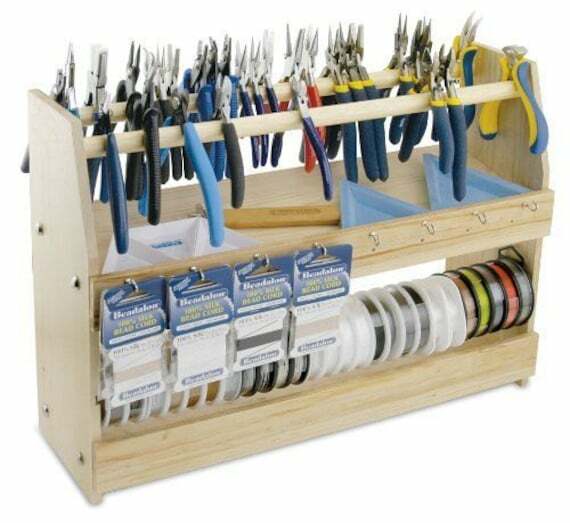 Then secure your nylon thread. Cut off excess wire and create a loop. Attach a jump ring and you’re done! Simple, easy but real cute! 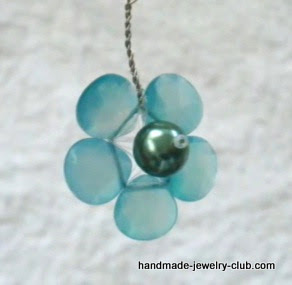 Use different sizes of beads and create flower shape pendants in different colors and you’ll have a garden of flower shape pendants to match every season! 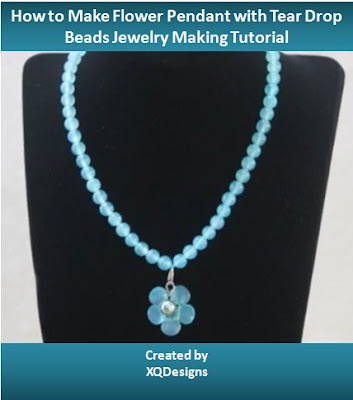 Download lots of free jewelry making tutorials at DiyLessons! 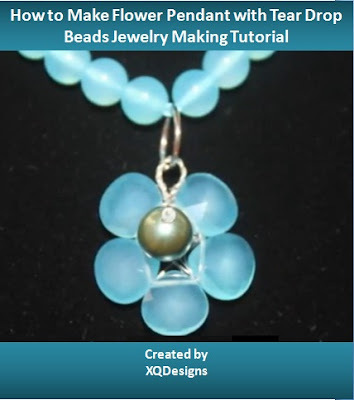 Are you a jewelry (jewellery) making teacher/ tutor? You can also list your tutorials here too. 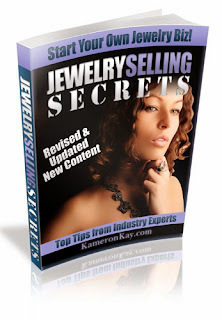 Join as our subscriber and redeem a free copy of the tutorials!